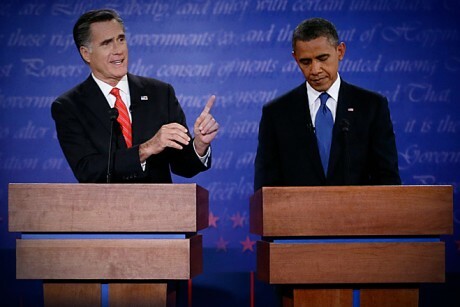 Mitt Romney won the first presidential debate on style, which is usually how these debates are won. Romney was aggressive and prosecutorial, and he never hesitated or delayed in his responses. He took charge of the debate from the beginning and never relinquished control. Hey, I’m just telling it as I saw it. I support President Obama. I’m voting for President Obama. But I’m not going to shill for Obama when he has a lousy debate performance. If we liberals like to lecture conservatives about acknowledging problems so that we can fix problems, we probably should heed our own advice when we (or someone we support) has a problem that needs to be fixed. Fortunately for President Obama, he is ahead in the polls, he has a much easier electoral college path to victory, and there are two more presidential debates. — But two more performances like last night, and that path to victory might become a bit more challenging. Here is my letter to President Obama. This is what I expect going forward. You are a sitting president with a very successful first-term record. You have led most polls throughout this election since Mitt Romney became the Republican nominee. You are also liked by a large majority of Americans. But none of this is good enough. You cannot rest on these facts from now until election day, especially not during the last two presidential debates. On substance, your performance in the first debate was ok at best. You corrected Romney on several issues like his $5 trillion tax cut plan, and his plan to turn Medicare into a voucher program, but you never once mentioned Romney’s “47 percent” comment. You never once mentioned Bain Capital. And you did not convincingly defend your own record on things like the Affordable Care Act, repeal of Don’t Ask, Don’t Tell, equal pay, and many other successful accomplishments. You appeared aloof. It was almost like you didn’t want to be there. But now we are getting into style instead of substance, and it is on style points where you lost this debate. I’m afraid to say Mr. President that you need to take a few lessons from Mitt Romney when it comes to style. I can’t believe I just said that. But it’s true. You cannot be the defense attorney in the last two debates. You need to vigorously defend your record, but you need to do it by going on the attack, not looking down, taking notes, and nodding your head, almost as if you are agreeing with what Mitt Romney was saying. Mitt Romney was the prosecutor in the first debate, you need to assume that role in the second and third debates. Do not let Mitt Romney take control of the debate. You are the President of the United States. Mitt Romney cannot change that fact unless you allow him to. Finally, do not assume that talking about things like Romney’s “47 percent” comment or Bain Capital is old news. Not only do people have short memories, most have’t been paying much attention at all until now. There is nothing litigated in this election that should now be considered off-limits. Everything is on the table. Nearly half the country is guaranteed to vote against you no matter what you say. You need to fight resolutely for the undecided vote if you want to stay in the White House for another four years. You need to show true passion for your accomplishments and make people believe you are the better choice. It’s not good enough to ride out these debates without rocking the boat. You need to command the ship. You will remember what it took to become president if you want to continue as president.